A child after my own heart! Youngest son, college-bound Nathan, scored well at the second hand shops in Chillicothe today. He has decided to spiffy up his wardrobe from jeans and t-shirts to a bit better dressed these past months. Although his shoe purchases were high, there’s not much to be done with that. 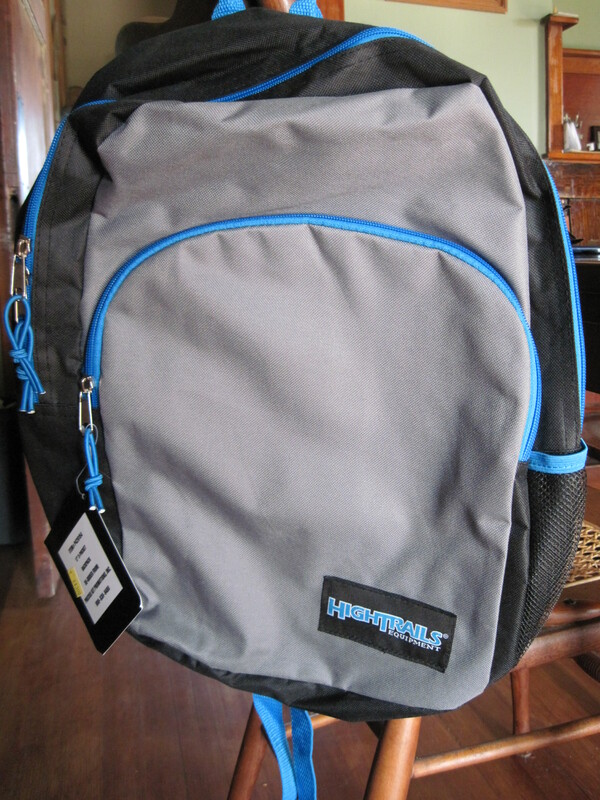 He still did well buying new. Honestly, he was in a shoe poor situation – everything he had is worn out and will be thrown away. 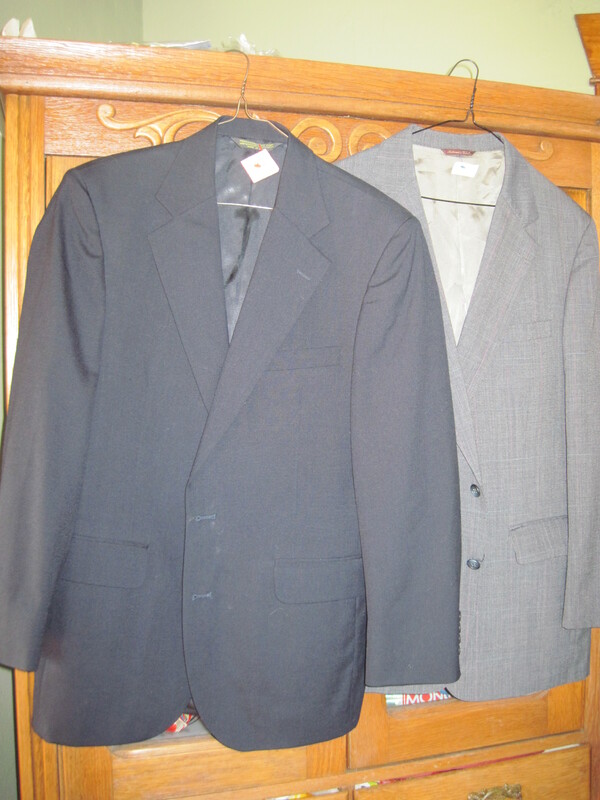 One dark blue classic styled 100% worsted wool, fully lined suit coat – $5.00. The other is half lined and not as fancy at $3.00. Both made in the USA! 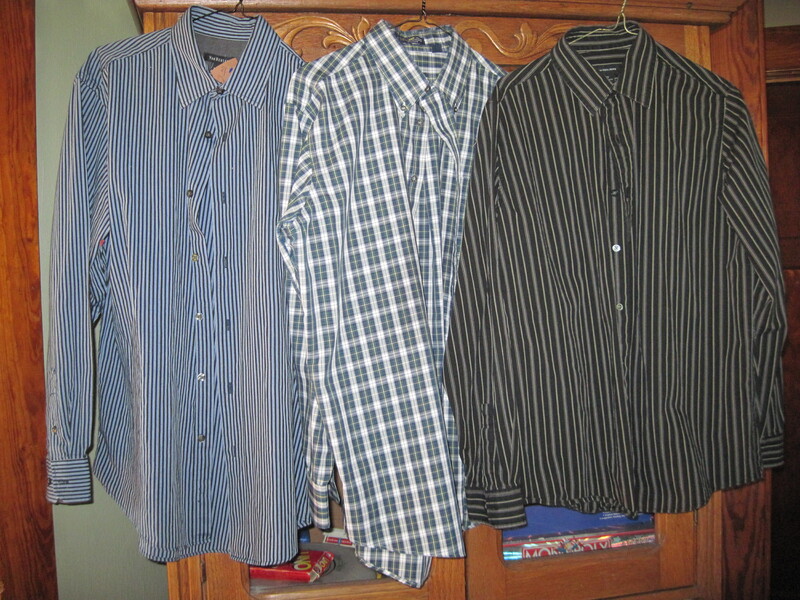 Three dress shirts: Calvin-Klein, Van Heusen, and Hathaway. Cost of all three totalled $6.00. Like new, maybe never worn.